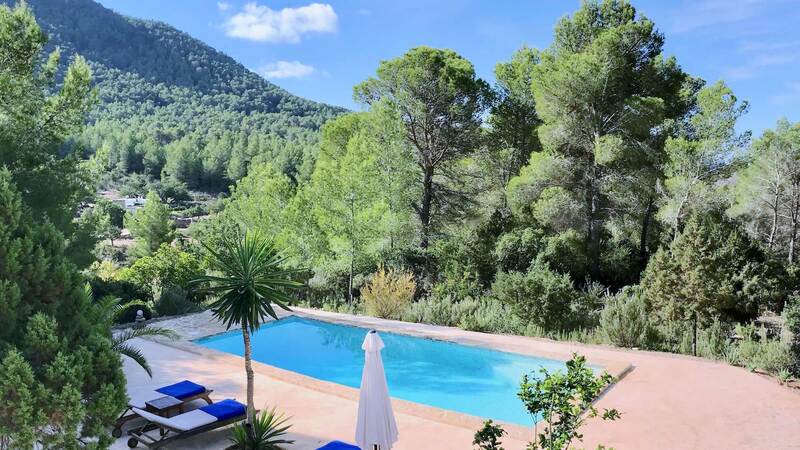 This property of 5000 m2 including 220 m2, recently renovated and decorated, is located in a beautiful forest of the west of the island of Ibiza. 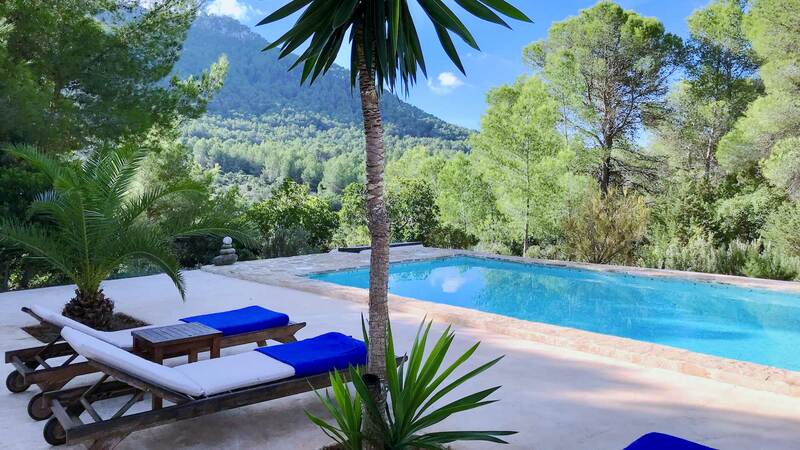 A peaceful place, ideal for holidays with family or friends. Room, Ground level. This bedroom has 1 double bed 150 cm. Bathroom ensuite, private, With shower. Room, Ground level. This bedroom has 2 single beds. Bathroom ensuite, private, With shower. Room, 1st floor. This bedroom has 1 double bed 150 cm. Bathroom ensuite, private, With shower. 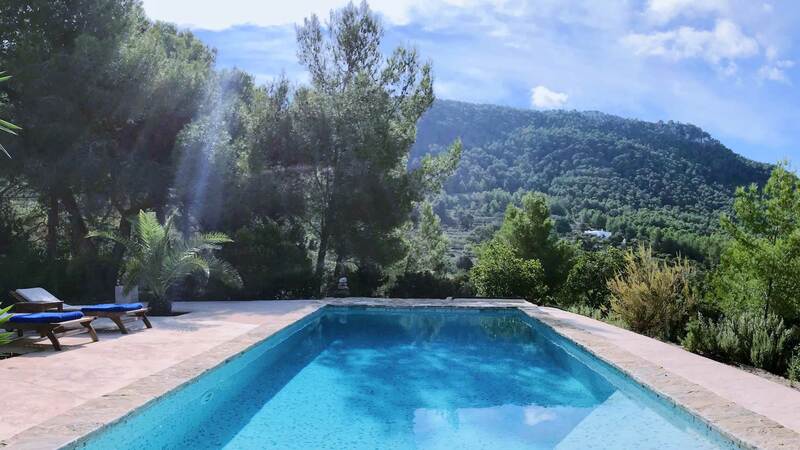 Pool 9 x 4.5 m surrounded by a terrace. 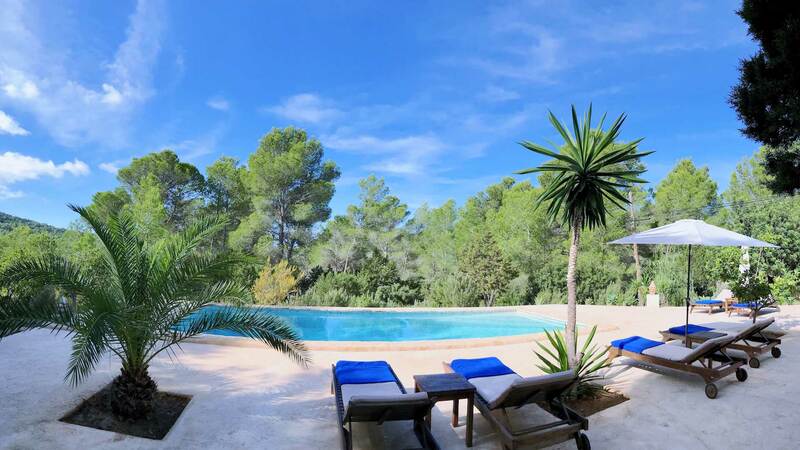 Large space with sofas, barbecue, table and comfortable sofas. 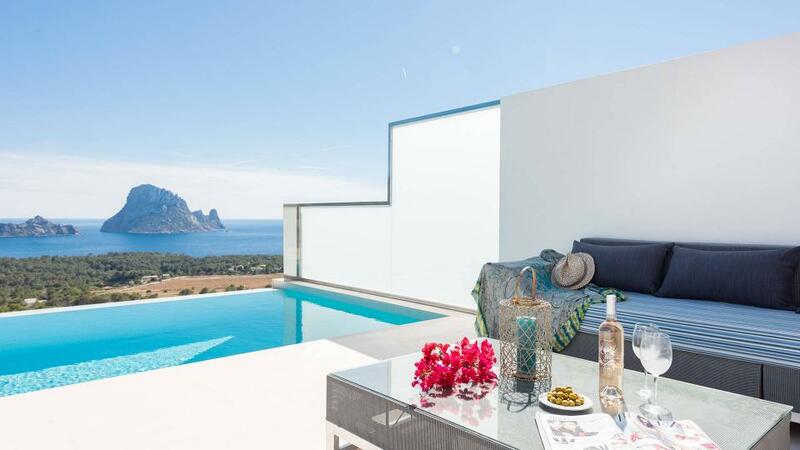 Outdoor shower near the pool and toilet. 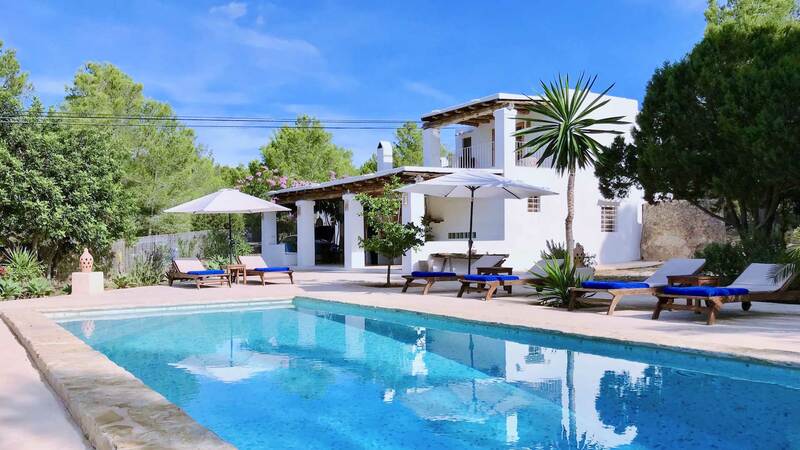 The villa is 5 km from the city of San Jose, 25 minutes from Ibiza town, just 3 km from the beach of Cala Vadella, and close to beaches like Cala D'Hort, Cala Moli, Cala Tarida and Cala Comte. The closest supermarket is 2 km away. 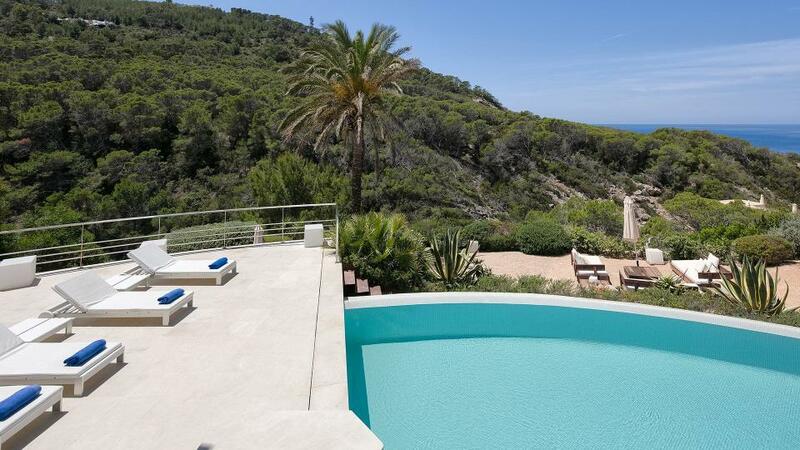 The property enjoys a unique location, with wonderful views of the Canal Sa Torre Valley and in the foreground, Ses Roques Altes, where you can enjoy great tranquility and nature.